1. Birmingham City Council should introduce a sustainable food waste collection, rolled out to all households by 2019. 2. Birmingham City Council should aim for a recycling rate of at least 60% by 2020. 4. Tyseley incinerator should be fully decomissioned by 2025. 5. Birmingham City Council should introduce solar panel installation scheme for schools across Birmingham, with dedicated funding and support for schools. 6. 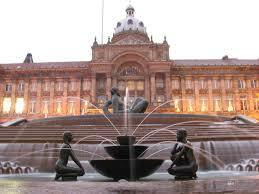 Birmingham City Council should divest from fossil fuels within 5 years. 7. Birmingham City Council should guarantee funding of £10 per head per year for cycling, irrespective of government grants. 8. I support a stronger local economy through the introduction of a Birmingham Pound. 9. Birmingham City Council should further support local biodiversity by reducing areas of ornamental grass on verges and in parks, and replace with wildflower meadows or food growing areas. 10. Planning guidance stating that green space designated for nature and/or food growing should be included in all new developments across Birmingham. 11. Birmingham City Council should introduce ‘Low Emission Zone’ to reduce unacceptable levels of air pollution, and act as a ring-fenced funding source for sustainable transport projects. Comments I think public transport is a key issue, we need to be making public transport cheaper and easier to use to reduce congestion on the roads. Comments Concerning food waste collection (Q1): I would rather see promotion of home composting. you luck with your campaigns. Comments Divesting from fossil fuels is the main aim. This cannot be done by one council alone, but working together with other councils could create better buying and investment power. I broadly agree with the main intent of your questions that more needs to be done in an increasing age of unsustainable and inconsiderate development, but accept that there are other issues also in play. I was a School Governor for example at a school that considered Solar Panels through a scheme but found that the panels themselves would not be owned by the school, and the cost/ reward, potential dangers outweighed the schools environmental concerns. Also in Sutton, I am very strongly against the building on the Green Belt land although accept the need for more affordable housing.